When it comes to website optimisation, everyone is familiar with 301 and rel=canon redirects. These are stock tools of the trade for any SEO agency but, of course, they are far from the only redirection options available. 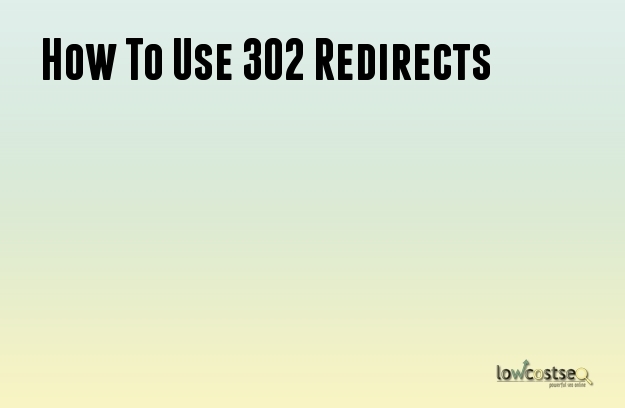 In fact, a less well known option is to use 302 redirects. Done well, these can be a great way to draw attention to specific content, landing pages or even special offers. Where as a 301 permanently redirects users from a given URL to a new, target URL, a 302 redirect does this on the understanding that such a change is temporary. In other words, both 301 and 302 codes lead from one URL to another. Canonical tags, on the other hand, do not redirect, but do divert all the link power. So, why is this important? Because Google’s internal algorithms understand that 302 is temporary, so its not looking to pass page rank to the new target URL. This is useful when you want to increase traffic and draw attention, but not necessarily focus on the page as a high priority in your SEO campaign. In other words, a 301 arguably benefits both users and crawl-bots, but a 302 can be used to give users valuable content without interfering with crawling. This way you could, for instance, divert a category page in your online store to a page set-up to establish a specific sale. Thus, you can still guide traffic while ensuring your original category page doesn’t lose its page-rank factors. Of course, you still need to offer value to your readers. Redirecting from your home page might seem like a great idea, but it risks irritating people that do not need to see this new page. Make sure to keep your redirects relevant and you will do well with both users and Google crawl-bots. The key to a 302 redirect is making it temporary – do not stay too long. If your 302 stays up for too long, Google may start to treat it as a permanent redirect, passing ranking power. How long is too long? It’s hard to say, as this is based on various unknown factors within the search engine. We can make an educated guess and say that traffic plays an important role. If your ‘temporary’ page continues to gain traffic, rather than naturally slowing down, Google might read this as a sign of the page’s new permanent status. The best way to resolve this is to keep an eye on both the original page(s) and the page your 302 redirect targets. This way, you can see if the temporary page starts gaining more traction over the permanent pages: this will be a strong indicator to pull the plug. Generally, adding more redirects will add to your website structure’s complexity, causing problems with crawling budgets. However, there are a few things you can do to protect your redirects. Specifically, the page gaining new, temporary traffic could use a rel=canonical redirect. However, this only works when you’re sending traffic from one specific page to another. If your temporary page is receiving traffic from multiple internal sources, a rel=can tag may push all of the ranking power (assuming Google starts to treat the page as a more permanent 301) to one specific page, which is not your intention. In short, however, 302’s can be very useful if you use them carefully and for the right reasons. When in doubt, be sure to monitor your traffic and SEO rankings!